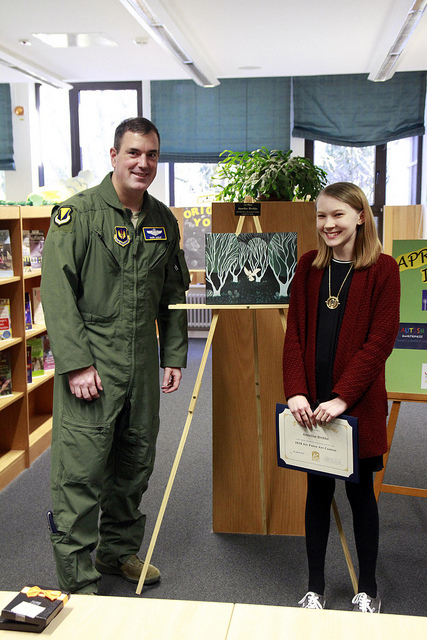 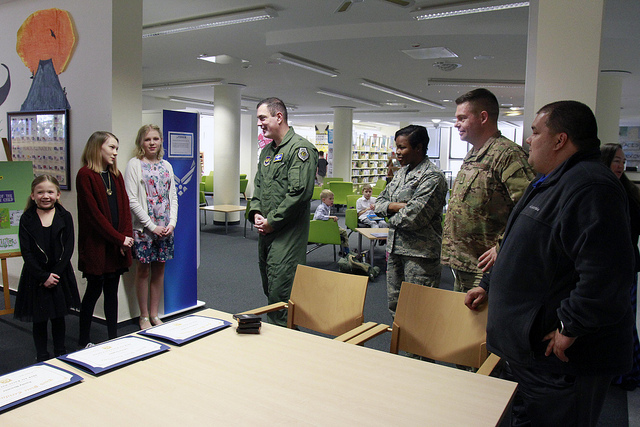 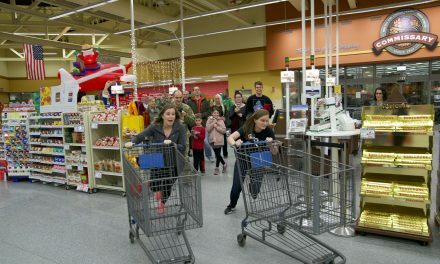 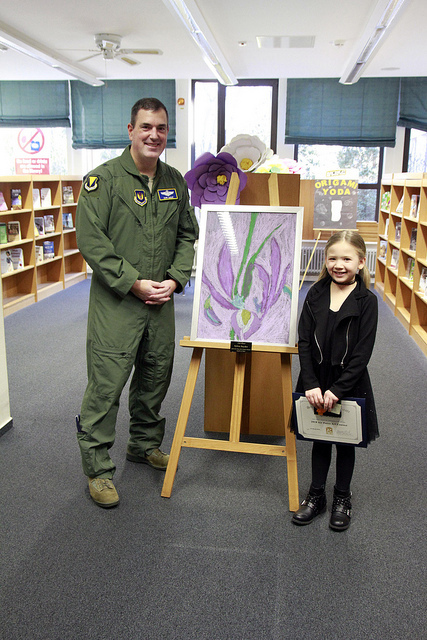 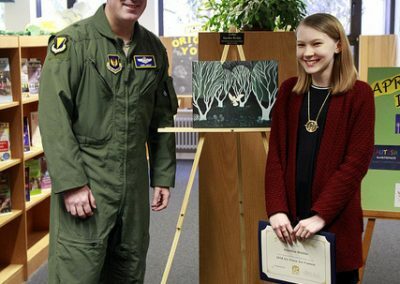 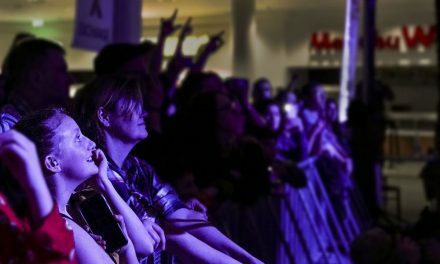 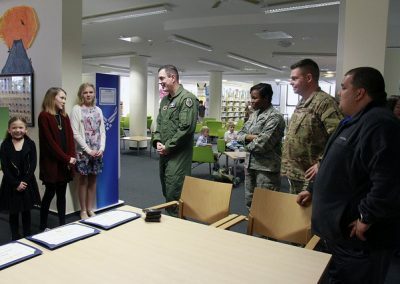 Ramstein AB, Germany – We celebrated the three Air Force 2018 Art Contest winners from Ramstein on 29 March at the Ramstein Library. 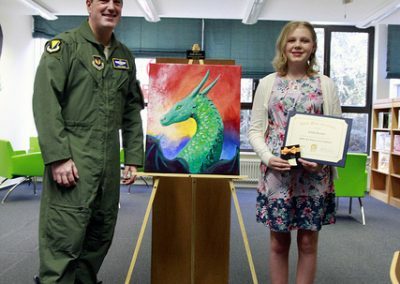 Emily Brewer won third place for youth 9-12 with “Fire-breathing Beauty” using acrylics. 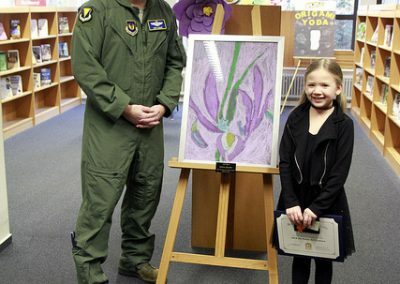 Sylvia Snyder won second place for youth 6-8 with ”The Violet Iris” using oil pastels. 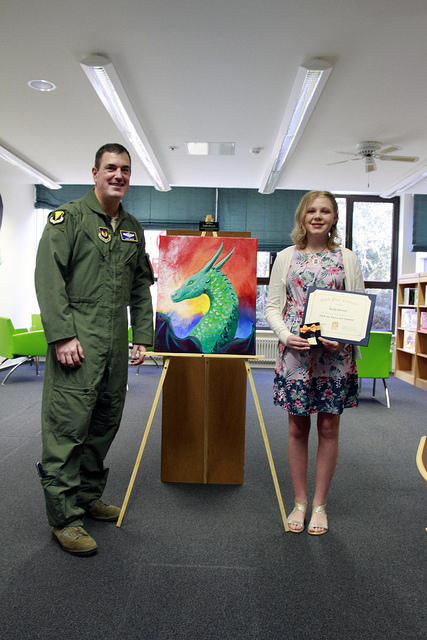 Annelise Brekke won first place youth 9-12 with “Night Stalker” using acrylics. 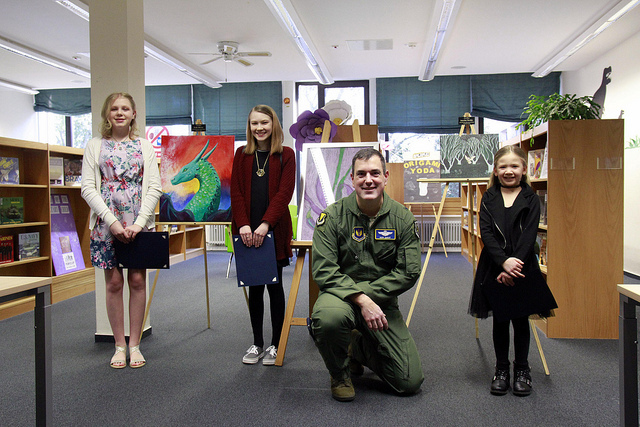 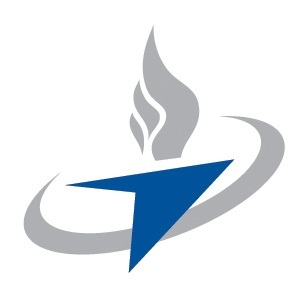 The 86th Airlift Wing Commander, Brigadier General Mark August presented each of the winners with a Commanders Coins, as well as Amazon gift cards.